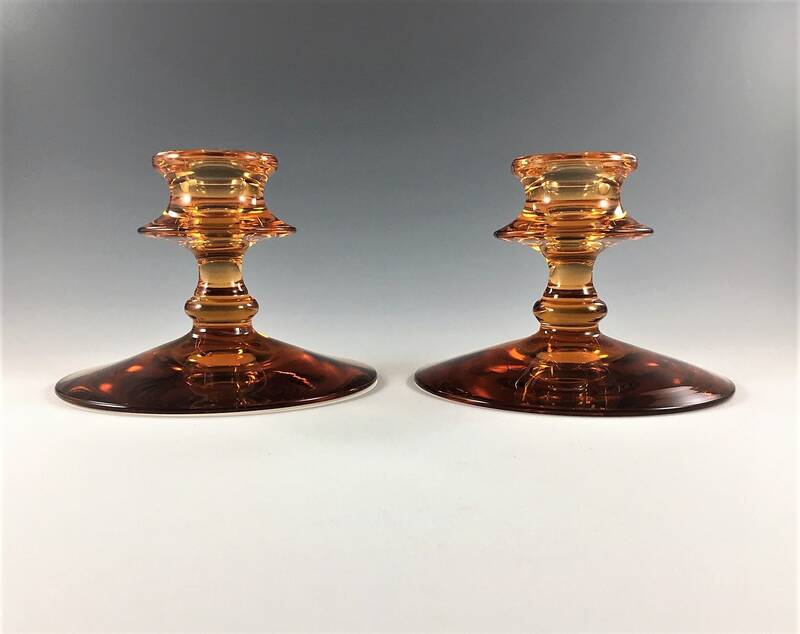 Featured is a beautiful pair of elegant glass candlestick holders. 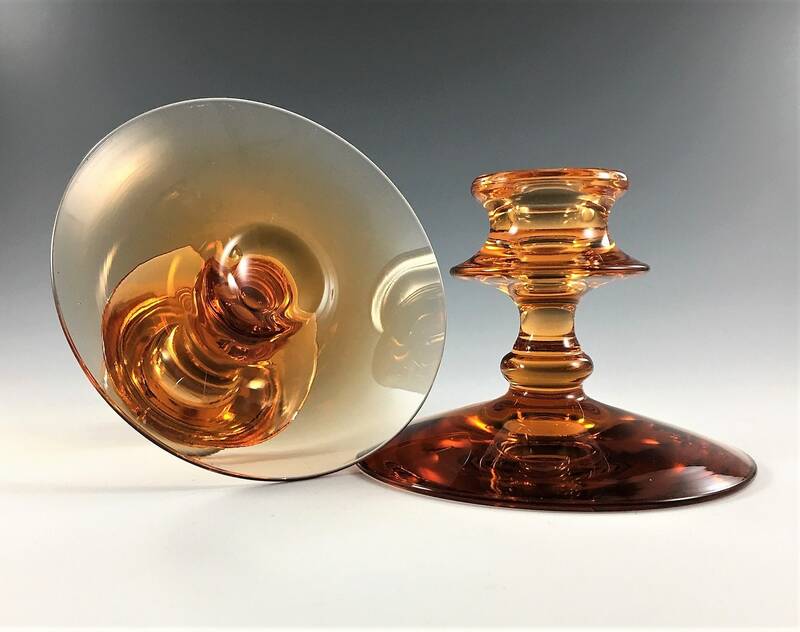 These Depression Era pieces are from Fostoria Glass and their No. 2324 Line. 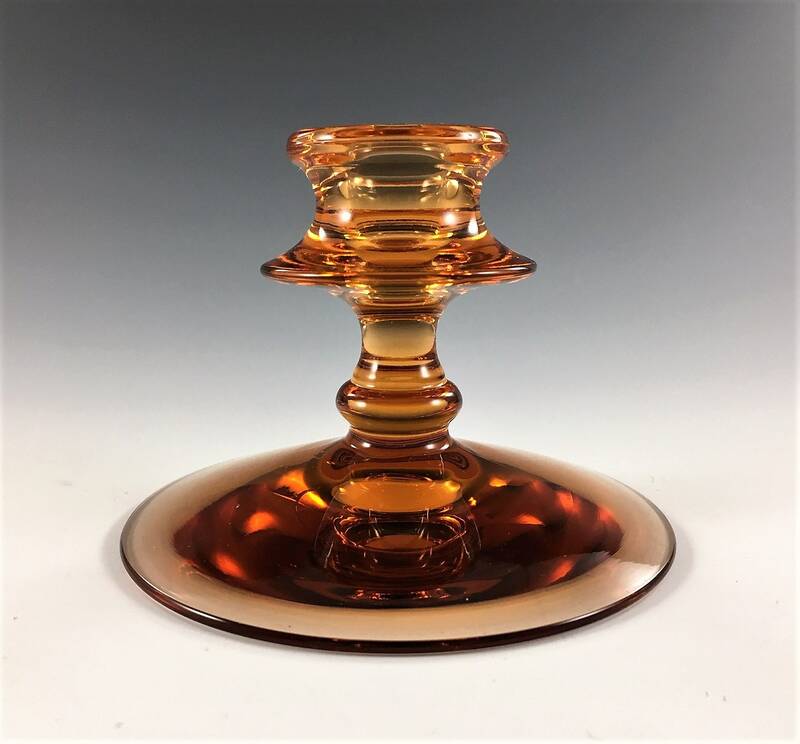 This stunning pattern went into production in 1927 the candle holders measure about 3 1/4 inches tall and the round base is 4 1/2 inches in diameter. 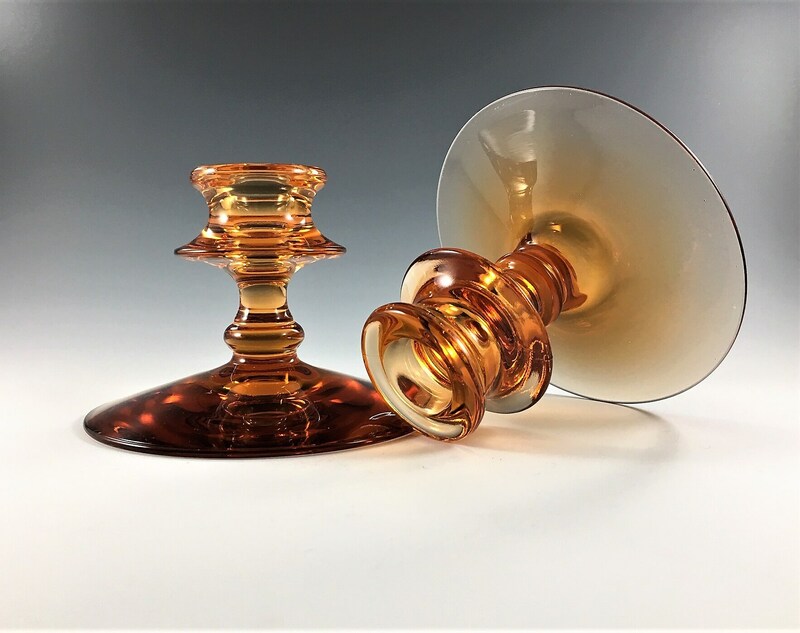 They are in excellent vintage condition, free from any chips or cracks.